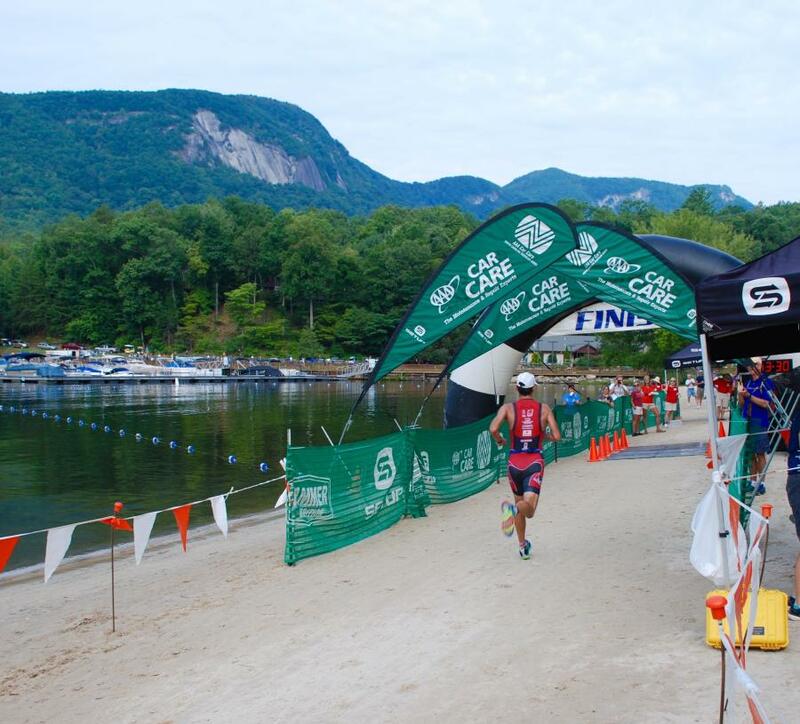 Named one of 10 “Great Destination Triathlons” in the United States by Complete Tri, the Lake Lure Olympiad is a family-friendly event that boosts competitive courses, entertaining activities, and diverse adventures all taking place in the majestic foothills of the Blue Ridge Mountains. 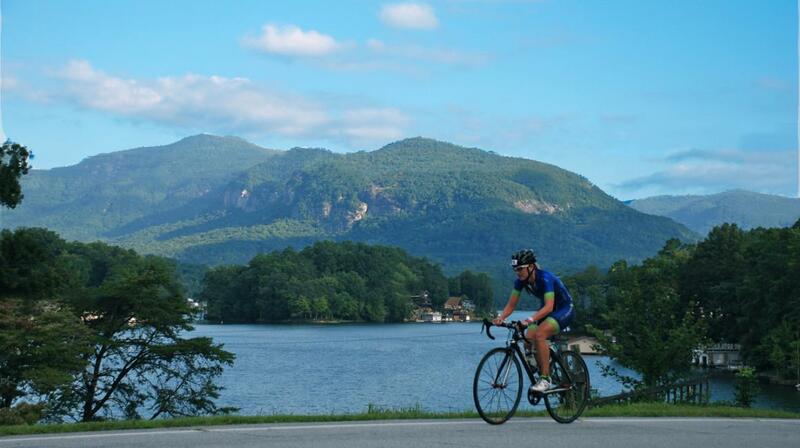 This three-day sports festival, is held along the shores of Rumbling Bald Resort in Lake Lure and the peaks of Chimney Rock State Park, attracting athletes of all ages and abilities and has raised more than $300,000 for area charities since 2005. Heralded as one of “America’s Best Lakes” by USA TODAY, Lake Lure never disappoints visitors to the Largest Premier Destination Race Weekend in Western North Carolina. The weekend is anchored by three major races- a 10K Dam Run on Friday night, the Lake Lure Sprint Triathlon on Saturday, and the Race to the Rock on Sunday. Competitors looking for the ultimate challenge can do all three major races and earn their place among other die-hard “3 Races in 3 Days” alumni. Events for kids, beginner athletes, and spectators are also hosted throughout the weekend. This is where completion and fun collide. Back-dropped by the Hickory Nut Gorge, Chimney Rock State Park, and the beach at Rumbling Bald Resort, surveyed athletes consistently rate the scenic beauty, challenging courses, and local hospitality as the top three reasons for competing in the Lake Lure Olympiad. 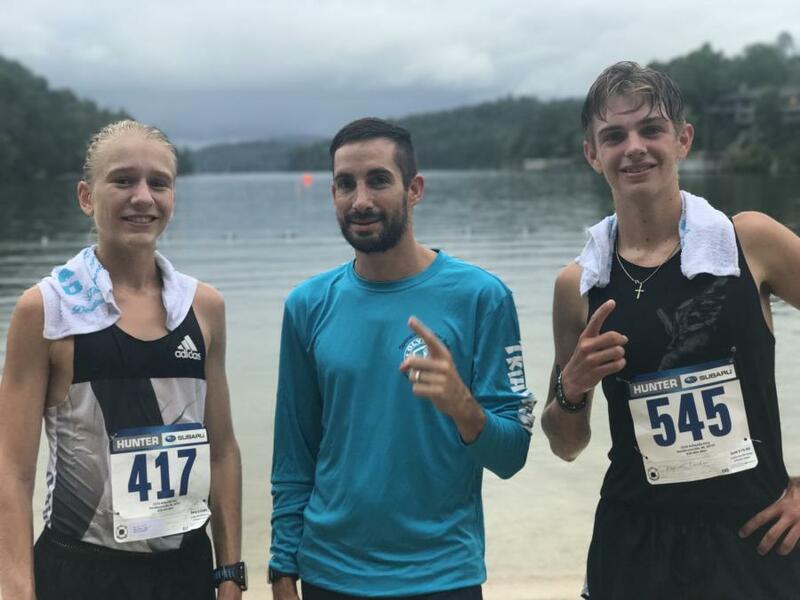 Professional runner Anthony Famiglietti, who competed in both the 2004 Olympics in Athens and the 2008 Olympics in Beijing, won the 2015 Race to the Rock 5K Run, then returned in 2016 to win overall in the 10K Dam Run. “It’s easy to push yourself in such a beautiful environment, and I’m enjoying the youth [Junior] Olympiad with my son who is four and enjoying all the amenities Rumbling Bald has to offer. I’d take this over Rio any day,” said Famiglietti following the 2016 Lake Lure Olympiad. Cid Cardoso, Jr. travels from Cary, N.C. every year to compete in the Lake Lure Olympiad with his family. With more than 20 IRONMAN competitions to his name, Cardoso enjoys the challenge of the Lake Lure Sprint Triathlon and its family focus. “I call it the lung burner,” said Cardoso of the Lake Lure Sprint Triathlon. “The first time I came [to the Lake Lure Olympiad], I fell in love not only with the venue, but also with the family atmosphere. With three kids, it’s hard enough to find time to race and spend time with the family, so an environment like this and a weekend that offers so much gives me the opportunity to do both. 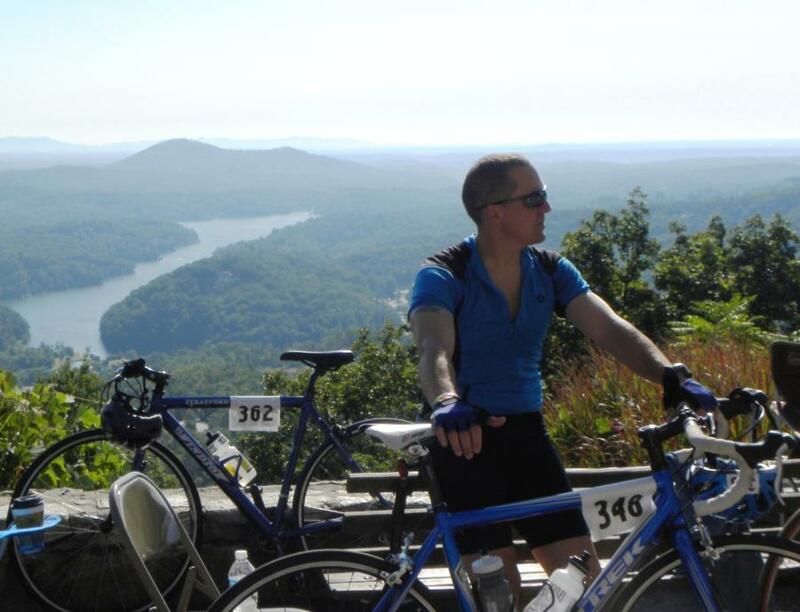 In addition to the unbeatable views, three-time Lake Lure Triathlon participant and two-time winner Jay Curwen from Asheville, N.C. gives high praise to the Lake Lure Olympiad experience. Spectators and athletes alike can kick off the weekend at the Opening Ceremonies on Friday night including the lighting of the torch, a free ice cream social, activities for kids, and beer for purchase presented by a local brewery. The post-race finish line food, ice-cold neck towels, and free beer are always a hot commodity for the participating athletes. They will also receive an Olympiad commemorative t-shirt, prizes and a medal ceremony. 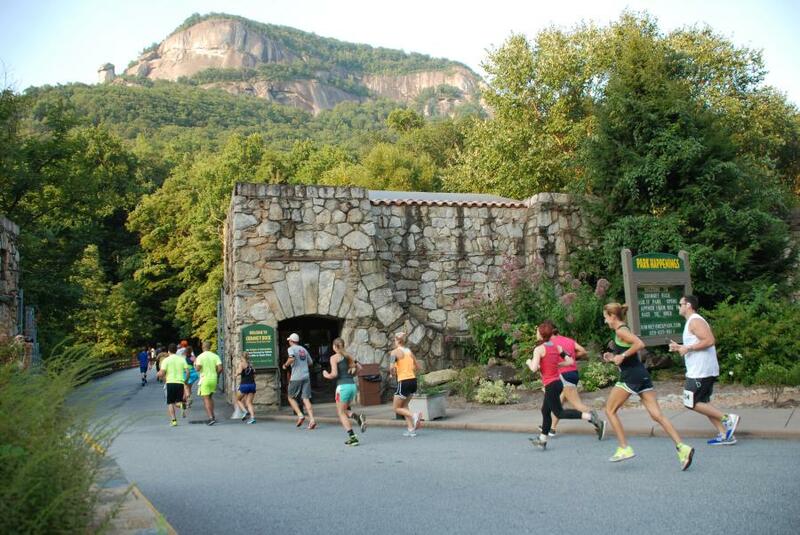 The Lake Lure Olympiad’s Race to the Rock is the only time that athletes can run or bike to the top of Chimney Rock State Park. Athletes choose between the 5-kilometer run or the 25-mile bike and are rewarded with a 75-mile panoramic view of the Hickory Nut Gorge, Lake Lure, and the Blue Ridge Foothills upon crossing the finish line. The awards ceremony, a “Roast on the Rock”, and post race food items are provided after the races conclude. Race to the Rock participants can go back into the State Park for sightseeing and hiking adventures FREE of charge anytime after the race on Sunday by showing their race bib at the ticket plaza. Spectators can enter the park for free prior to 7:30AM. Learn more about the Lake Lure Olympiad at www.LakeLureOlympiad.com, on Facebook @LakeLureOlympiad, or email lakelureolympiad@gmail.com.